Scottish BAFTA winner Crying With Laughter will receive its US premiere at the SXSW festival (March 12-21) in the festival favourites section. The film, directed by Justin Molotnikov, has recently secured a UK theatrical distribution deal with Britfilms and will be released on up to 20 screens on April 16. Cinetic has taken US rights to the film, focusing on video-on-demand and digital distribution channels. Set in the Edinburgh comedy circuit, the film stars Stephen McCole as a stand-up comedian who is haunted by his experiences at a boarding school. It is produced by Claire Mundell of Glasgow-based Synchronicity Films, together with Wellington Films. Synchronicity has a number of other projects in the pipeline, including Blood Or Water which is also being directed by Molotnikov, and will star McCole. 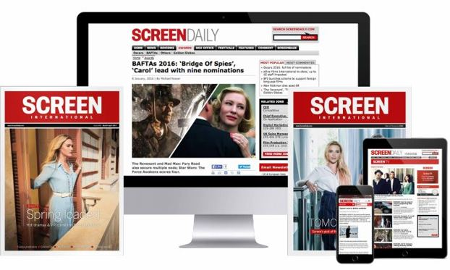 It has received backing from Scottish Screen. The $1.5m (£1m) drama is loosely based on Molotnikov’s experience of discovering family connections. Also in development is an untitled $3.5m (£2.3m) indie comedy romance written by David Solomons and directed by John McKay, about a Glasgow publisher and his relationship with his client, and a chiller thriller, The Devil’s Staircase written by Sergio Casci (The Caller) to be directed by Molotnikov.